Ready to Go on Route 15-B. Snapped again by Byeon Gyeong-ah on April 7. There are no images available at the moment. Sunrise was at 6:08 a.m. and sunset will be at 7:01 p.m.
We have another high of 13°C with cloud due all day. 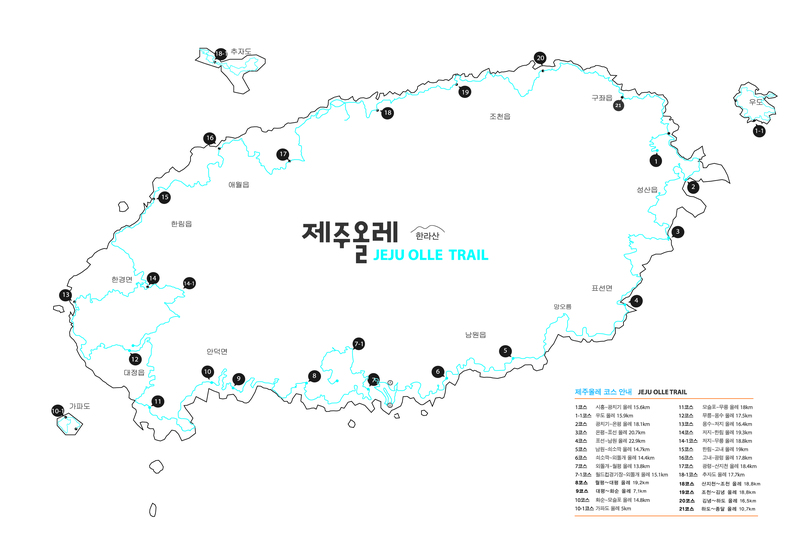 A morning light air (1 m/s – rare for Jeju) will become a gentle wind later (4 m/s). Amongst the Flowers on Route 15-B. Snapped by Byeon Gyeong-ah on April 7. Sunrise was at 6:10 a.m. and sunset will be at 7:00 p.m.
We have a lower high of 13°C with cloud cover due all day. A moderate wind is going to blow south then south-east. It’s going to be wet underfoot and slightly chilly so prepare accordingly for the trail. Rock Pools and Water along Route 7 on April 5. By Lee Seong-gwan. Sunrise was at 6:11 a.m. and sunset will be at 7:00 p.m.
We have a high of 17°C with slight rain showers and cloud due throughout the day. The rain will get heavier from this evening. It is also blustery out there with a moderate to fresh wind blowing west.